A tough situation such as a natural disaster, the loss of a loved one, or financial distress can trigger or increase depression and anxiety. Someone who is depressed has feelings of sadness or anxiety that last for weeks at a time. 10. Persistent aches or pains, headaches, cramps, or digestive problems that do not get better, even with treatment. If you recognize these symptoms in yourself or someone you love, see your doctor or a mental health professional. 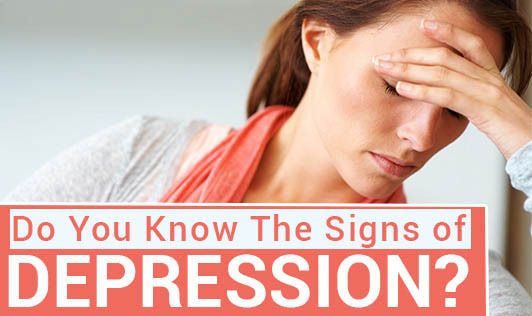 Depression usually doesn't just go away on its own like a cold or the flu, but depression is treatable.